Serving areas: Houston, The Galleria, The Heights, Conroe, Spring, The Woodlands, Montgomery, Magnolia, Humble, Kingwood, and surrounding Houston areas Texas. 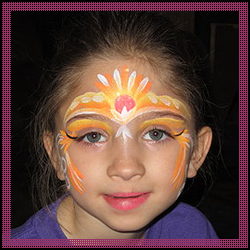 Fun FX Entertainment is a professional face painting provider serving the Houston Texas area and beyond. Fun FX Face painting professional Judy Thompson is a friendly and talented free handed artist (not stencils), using only professional quality grade face paints (which are safe on skin use). Call Fun FX today for events including festivals, parties, special event occasions, holiday parties, corporate parties and picnics, grand openings and restaurant events, and more!